Where better to start than to focus on the consumer news that everyone is talking about. It is rare that you wake up in the morning and energy is on the front of every national newspaper but Thursday the 4th of February 2016 is one of those days- and we were all equally shocked. Yes that’s right this week’s main energy focus has been around the Age UK charity scandal which has not only go Amber Rudd and Fundraising Legislators spiffing, but has bordered onto the ludacris in terms of the focal points of the misrepresentation constituents that Age UK has performed over the past couple of years. In case you are not in the know Age UK received kickbacks to the tune of £6 million by switching vulnerable energy customers to what was support to be the cheapest energy tariff available through a commercial agreement with an individual Energy Supplier. The downside is that these customers these consumers could have been £245 better of switching elsewhere to the same supplier elsewhere, let alone a different supplier offering a cheaper tariff. Now I can’t comment on other industries but I am sure if Age UK had a commercial agreement with a regulated and approved price comparison company that could compare the whole market in the various industries they are active in selling to their clients to, the and received commissions for doing as their charter suggests and offer their customers the best advice to help hundreds of thousands of people, would have been warranted, ethical and of course left everybody better off. Instead they have found themselves in a very sticky mess which even the best PR Company in the country would struggle to reprieve. 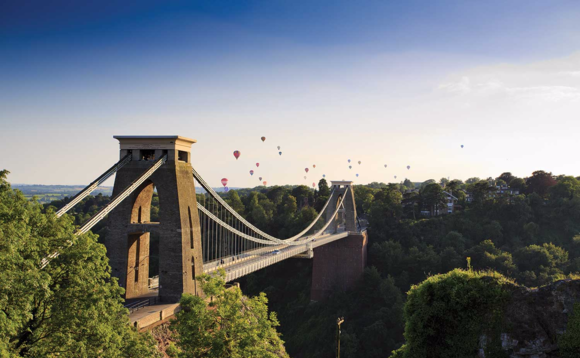 Next to an innovative grant scheme launched by Bristol City Council this week which gives applicants up to £10,000 in funding to support clean energy projects across Bristol through the BCEF. Bristol Council already prides itself on being one of the greenest out there in the UK and we think that this new initiative is great in allowing a whole new breed to Clean Energy start up’s and companies a lease of life to help us in the UK meet our CO2 emissions targets especially since the government pulled the Green Deal last year. It’s just a shame we ourselves aren’t in Bristol as we could do with some help in pushing The Big British Switch’s 100% Renewable Collective Switch out to Bristonians. If you would like to find out some more information about getting involved in the scheme the application period closes on March the 31st. You may have heard of the industrial revolution, the American Revolution but how about the UK Free Market Energy Revolution? That’s correct we came across an interesting piece in City AM this morning, put together by Douglas Carswell, the UKip MP for Clacton. Apart from delving into some interesting points about how the 2008 Climate Change act has a direct link to your fuel bills with an £18 billion cost to the UK per annum. All being well this is true but what can we do about it. Well his suggestion is to move away from the Green Agenda and stop subsidizing areas such as renewable s and nuclear energy production and move towards a free market and let us, the people, decide. This would in effect break up the Big 6 as we would choose energy on a variety of factors, such as price, and technological innovation, which has worked well in other industries and we would therefore back the company we vote for. This, in a way, in our eyes is already happening in the UK with more people switching to 100% Renewable Energy in 2015 and with more households switching energy suppliers every year is it safe to say that maybe the Energy Free Market Revolution has already begun? Can this be really better for us, our pockets, environment and the state of our nation’s finances? Only time will tell. Carrying on this week’s green theme, Wired where reporting this week from Greifswald where Angela Merkel herself launched a new device which one day hopes to heat Hydrogen into a really hot gas known as Plasma. This could then in theory be used in devices which could hold Plasma into place in a nuclear reactor. With the total cost of the project costing over £1billion pounds let’s hope the technology is successful and one day helping us produces cleaner energy for generations to come. Scottish Power has joined the party! Yes that right! Following last week’s announcement by SSE that they will be cutting their Gas prices after Easter by 5.3%, Scottish Power have announced a similar gas price cut of 5.4% which will be effective as of the 15th of March 2016. It is fair to say the competition was already hot for your customer and it is now even hotter. Which from our consumer sighted point of view is only a good thing. You can see more information about Scottish Power here.